The Indian National Bar Association (INBA), the apex body of Indian legal fraternity with global associates, has called for urgent setting up of ‘Privacy Commission’ to address concerns related to regulation and protection of individual data. The body has, however, supported collection and integration of citizens/individual’s data as it was necessary for better and effective governance delivery. 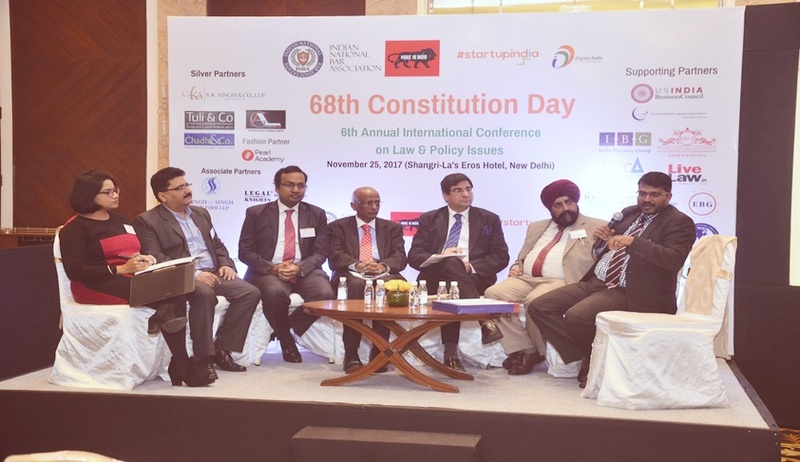 This was the collective view of the members during a conference organised by INBA on the occasion of 68th Constitution Day in New Delhi. Legal fraternity from at least 7 nations participated in the conference. “Given the ongoing concerns, controversies surrounding misuse of individual data (Aadhaar), it is obligatory that the government set up a Privacy Commission with power to award damages and compensation as is the norm in many developed countries,” said advocate Kaviraj Singh, INBA secretary-general. “However, we, at INBA, support collection and integration of citizens’ data as it is essential for better governance delivery and approve of government’s effort to streamline governance delivery. But there must be strict checks and balance and “Privacy Commission” could fill in that role,” he added. Countries like Australia have Privacy Commission with powers to award damages and compensation to aggrieved citizens. Justice Frederick Bathrust, Chief Justice of New South Wales, Australia, a speaker at the conference said in Australia, Privacy Commission preceded collection and integration of citizen’s data and the commission has power to award compensation and damages for breach or misuse of private data. Meenakshi Arora, senior advocate of Supreme Court, who has been spearheading the fight against collection and integration of all private data in a centralized pool, pointed out that threat of misuse of private data is real and grave but there is no real mechanism to address it or assurance as to how government intends to ensure its misuse. She also agreed that setting up of “Privacy Commission” could be a good step in addressing concerns related to this issue. The day-long international conference also deliberated on emerging legal concerns such as impact and misuse of artificial intelligence in the life of common citizens or legal framework. “We, at INBA, have always been at the forefront in raising and addressing emerging which will have wide impact on the lives of common citizens or governance. We were the first ones to raise privacy issue when it was a non-news. And today we want all stakeholders to understand the coming impact of Artificial Intelligence. If we don’t start preparing a regulatory framework for its use, this technology can be counterproductive,” Singh said. The conference concluded by acknowledging the contribution of the eminent legal fraternity, while awarding “Young Emerging Lawyer” of the year to advocate Ashish Dixit for his outstanding work in the field of law.